Do you want to be a part of #TeamSnitsky? Do you want to receive exclusive offers and discounts on your favorite Big Gene Snitsky Beard Gear? Join our Brand Ambassador Program today! Members will receive a shareable discount code as well as a personal code usable on any order at BigGeneSnitsky.com. Build points from purchases from your friends and family which can be redeemed on your own orders. JOIN TODAY! 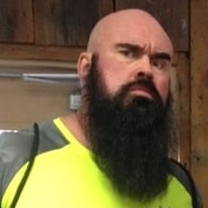 Thank you for joining #TeamSnitsky! We'll be contacting you shortly with your discount code! Let us know what you think about your Big Gene Beard Oil Experience! We'll be sharing some of our favorite customer feedback!